2012 Elected fellow of the Engineering Institute of Canada, FEIC. 2012 Elected fellow of the Canadian Society for Mechanical Engineering, FCSME. 2011 Nominated for the University Research Scholar Award, UOIT. 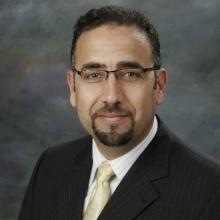 2010 Elected Fellow of the American Society of Mechanical Engineers, FASME. 2010 Awarded the NSERC-Discovery Accelerator Supplements. 2007 Nominated for the University Research Scholar Award, UNB. 2005 Nominated for the Allen P. Stuart Award for Excellence in Teaching. 2003 UNB Research Merit Award. 2001 "Best Paper" Finalist Award at the 4th Int. Machining & Grinding Conf., SME/MTA, Troy, Michigan. NASR, M. A., GHANDEHARIUN, A., KISHAWY, H. A. (2017). “A Physics-based Model for MMCs Deformation during Machining: A Modified Constitutive Equation” Transaction of the ASME, Journal of Engineering Materials and Technology, Journal of Engineering Materials and Technology, Vol 139, No. 1, DOI: 10.1115/1.4034509. CILOGLU, H., ALZIADEH, M., MOHANY, A. and KISHAWY, H. A. (2015). "Assessment of the Whole Body Vibration Exposure and the Dynamic Seat Comfort in Passenger Aircraft." International Journal of Industrial Ergonomics, Volume (45), pp.116-123. HOSSEINI, A. and KISHAWY, H. A. (2015). "On the Optimized Design of Broaching Tools." Journal of Manufacturing Science and Engineering (Transaction of the ASME) 136(1): 011011. KISHAWY, H. A., REDDY, N. S. K., GHANDEHARIUN, A. and ABDELMONEAM, H. M. (2015). "On a Novel Solid Lubricant–Coated Cutting Tool: Experimental Investigation and Finite Element Simulations." Proceedings of the Institution of Mechanical Engineers, Part B: Journal of Engineering Manufacture, Volume (229), No. 11, pp. 1893-1899. KISHAWY, H. A., HOSSEINI, A., MOETAKEF-IMANI, B. and ASTAKHOV, V. P. (2012). "An Energy Based Analysis of Broaching Operation: Cutting Forces and Resultant Surface Integrity." CIRP Annals - Manufacturing Technology 61(1): 107-110. KISHAWY, H. A. and PANG, L. (2012). "A Phenomenological Modeling of Deformation During Metal Cutting: A Modified Thick Shear Zone Analysis." Proceedings of the Institution of Mechanical Engineers, Part B: Journal of Engineering Manufacture 226(9): 1431-1441. ROSEN, M. A. and KISHAWY, H. A. (2012). "Sustainable Manufacturing and Design: Concepts, Practices and Needs." Sustainability 4(2): 154-174. SIKDER, S. and KISHAWY, H. A. (2012). "Analytical Model for Force Prediction When Machining Metal Matrix Composite." International Journal of Mechanical Sciences 59(1): 95-103. HOSSEINI, A., MOETAKEF-IMANI, B. and KISHAWY, H. A. (2011). "Mechanistic Modelling for Cutting with Serrated End Mills - a Parametric Representation Approach." Proceedings of the Institution of Mechanical Engineers, Part B: Journal of Engineering Manufacture 225(7): 1019-1032. Haglund , A., Kishawy H A., and Rogers, R.J. “An Exploration of Friction Models For The Chip Tool Interface Using An Arbitrary Lagrangian-Eulerian Finite Element Model,” Wear, Vol. 265, issue 3-4, pp, 452-460, 2008. Kishawy H A., Deiab, I. M. and Haglund, A. J., “ALE Analysis on Cutting with a Honed Tool,” Proceeding of the Institution of Mechanical Engineers: Part B, Journal of Engineering Manufacture, Vol. 222, pp. 155-162, 2008. Kannan S. and Kishawy, H. A., “Tribological Aspects of Machining Aluminium Metal Matrix Composites” Journal of Materials Processing Technology, Vol 198, No. 3, pp. 399-406, 2008. Kannan S. and Kishawy, H. A., “Surface Characteristics of Machined Aluminium Metal Matrix Composites,” International Journal of Machine Tool and Manufacture, Vol. 46, pp 2017-2025, 2006. Kishawy, H. A., A. J. Haglund, M. Balazinski, “Modelling of Material Side Flow in Hard Turning,” Annals of the CIRP, Vol. 55, No.1, pp. 85-88, 2006. Kannan, S., Kishawy, H. A., Deiab, I. M., and Surappa, M. K., “On the Role of Reinforcements on Tool Performance During Cutting Metal Matrix Composites,” Journal of Manufacturing Processes, SME, pp. 67-75, Vol. 8, No. 2, 2006. Kannan, S., H. A. Kishawy, M. Balazinski, “Flank Wear Progression During Machining Metal Matrix Composites,” Transactions of the ASME, Journal of Manufacturing Science and Engineering, Vol. 128, pp 787-791, 2006. Li, L. and Kishawy, H. A., “A Model for Cutting Forces Generated During Machining with Self-propelled Rotary Tools,” International Journal of Machine Tool and Manufacture, Vol. 46, pp.1388-1394, 2006. Kishawy, H. A., Li, L., and El-Wahab, A. I., “Prediction of Chip Flow Direction During Machining With Self-Propelled Rotary Tools,” International Journal of Machine Tool and Manufacture, Vol. 46, pp.1680-1688, 2006. Kannan, S., Kishawy, H. A. and Balazinski, M. “Analysis of Abrasive Wear During Machining Metal Matrix Composites” in Jahazi M., Elboudjaini M. and Patnaik, P., Aerospace Materials and Manufacturing Processes: Emerging Materials, manufacturing and Repair Techniques, proc. Of the 3rd Int. Symp. Of CIM, COM2006, Montreal, Canada, 1-4 Oct., pp.227-236, 2006. Kannan, S., Kishawy, H. A., Deiab, I. M., and Surappa, M. K., “Analytical Modeling Of Cutting Tool Wear In Machining Metal Matrix Composites,” Fifteenth International Conference on Composite Materials, Durban, South Africa, 27 June to 01 July, p. 523, CDROM, 2005. Kannan, S., Kishawy, H. A., Deiab, I. M., and Surappa, M. K., “Modeling of Tool Flank Wear Progression During Orthogonal Machining of Metal Matrix Composites,” Transactions of the SME, North American Manufacturing Research Conference, Volume 33, 605-612, 2005.